Go surfing on the high seas, take a bumper car for a spin, enjoy the view in dizzying heights, indulge in countless culinary delights or simply relax – all in the middle of the ocean. Quantum of the Seas makes it all possible. Realised by the Meyer shipyard in Papenburg for Royal Caribbean International, it is the largest ship of its kind ever built in Germany and it raises the bar for modern ocean cruises. Its cruise experience is enriched by a multi-faceted array of amenities as well as exceptional technical innovations. 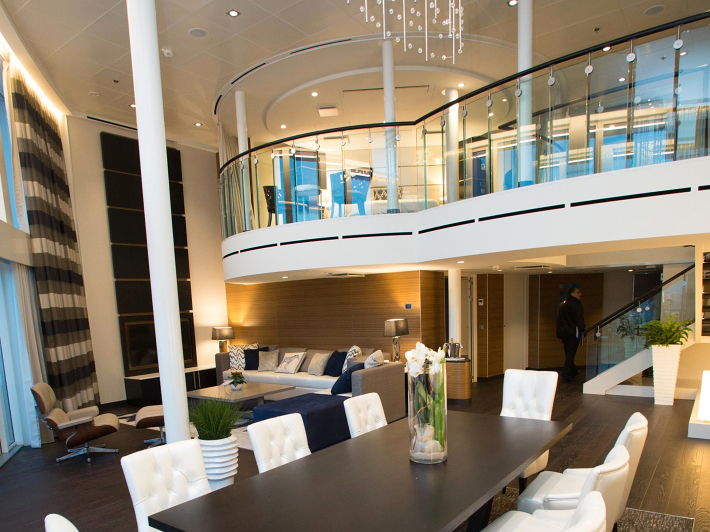 The luxury liner exudes a stylish and elegant ambiance in the public areas as well as in the cabins. This sense of refinement extends all the way to the bathrooms where Allure faucets from the GROHE SPA® range add brilliancy to this exceptional cruise liner. This unique floating resort accommodates more than 4,000 passengers at a time. They can for example experience the thrill of skydiving, hone wave riding skills on the surf simulator or learn tricks in a circus class – no activity is too extraordinary for Quantum of the Seas. For all guests who are not afraid of heights, there is one more highlight: a glass observation capsule which gently rises to a height of 90 metres to afford spectacular views of the ocean, islands and ports. As for rest and relaxation, there are several indoor and outdoor pools as well as lots of sun decks where the travellers can just relax during longer cruise segments. A high-calibre show and entertainment programme means that boredom remains completely banned also after sun set. Occupying the height of three decks, Two70 is a transformational event theatre whose giant panoramic windows and walls serve as digital projection screens at night, with additional LED screens being moved by robotic arms in concert with the performers. Incidentally, these are not the only robots on board. The ship’s Bionic Bar is manned by two robotic bartenders who mix cocktails with great precision and without ever spilling a single drop. The future of cruising has arrived also in the cabins of Quantum of the Seas. 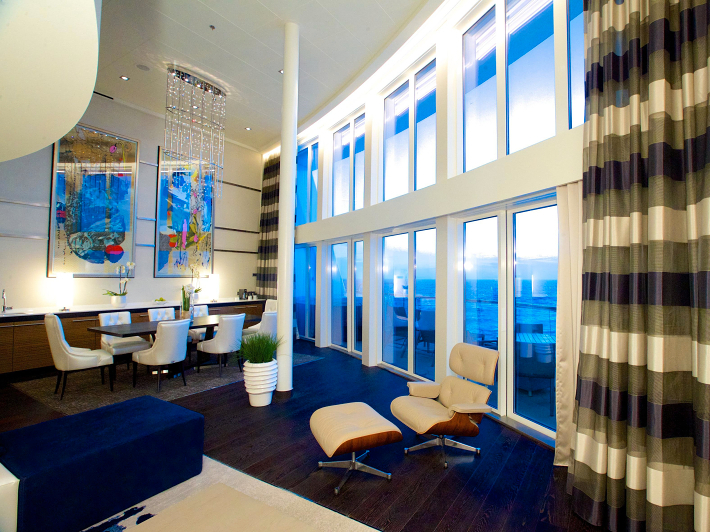 Their spacious floor plans and stylish interior are reminiscent more of upmarket hotel rooms than of ship cabins. High-quality natural materials, subtle colour schemes and tasteful designer furniture make all cabins comfortable retreats. This is true of the luxurious loft suits as well as of the elegant junior suites and the comfortable exterior cabins. In addition, there are cabins with interconnected vestibules which allow families to book just the right amount of space. And on board this ship, booking an interior cabin does not mean going without an ocean view. This is because all interior cabins feature “virtual balconies” in the form of large LCD screens showing exactly what passengers in exterior cabins see through their windows in real time. 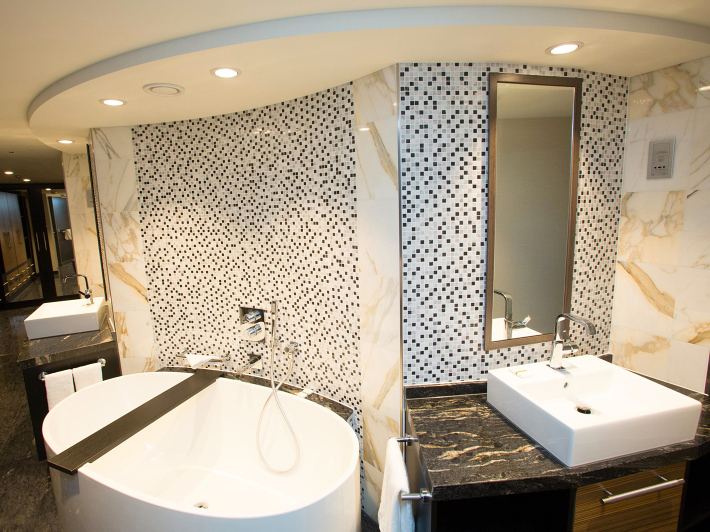 The floating hotel experience continues in the stylish bathrooms whose decor combines mosaic tiles with marble in various colours for a sophisticated ambiance. 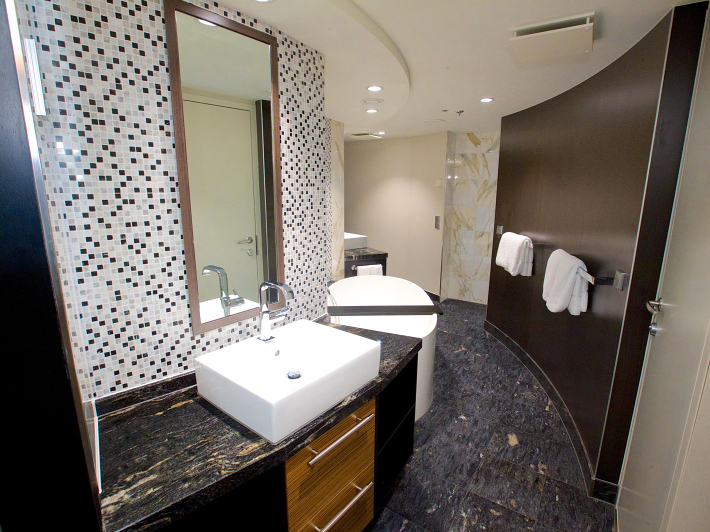 To match the geometric lines of the washstands, showers and tubs, the interior designers selected Allure faucets from the GROHE SPA® collection. Their exquisite silhouettes are characterised by cylindrical faucet bodies which are perfectly proportioned and coordinated. The water flowing from the small mousseur forms a small waterfall which is not only a spectacular sight but also caresses your hands. All faucets benefit from GROHE SilkMove® technology which ensures that their silky smooth lever action is maintained over many years. 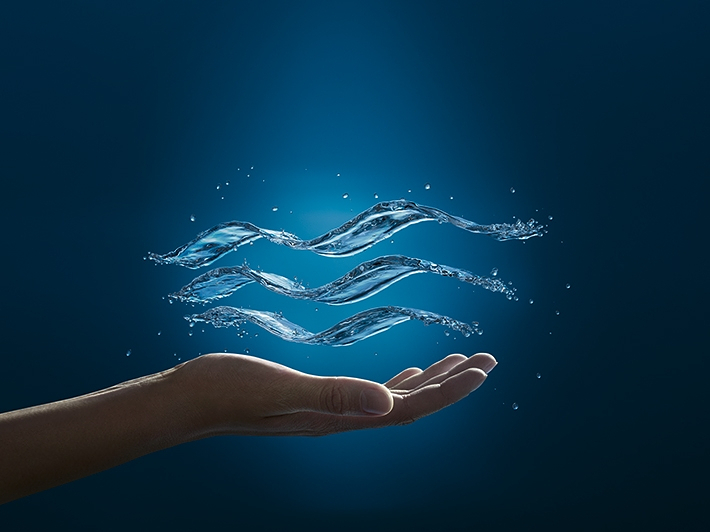 As a result, any number of passengers will enjoy the same consistently superior water experience as Quantum of the Seas continues its exploration of the future of cruising.